Mitch Henderson ’98, who won three Ivy League championships as a player at Princeton, is looking to capture his first Ivy crown as coach. Courtesy of Princeton University Office of Communications. In March 1998, Princeton men’s basketball player Mitch Henderson ’98 took his college basketball jersey off for the last time. After a brief professional playing career and an assistant coach role at Northwestern University, he eventually found his way back to his alma mater, becoming the 28th head coach of the Princeton Tigers men’s basketball team in 2011. Back on the Jadwin court with clipboard in hand and whistle in tow, Henderson said he enjoys developing his players and setting strategy for the team. During the 2012-13 season, Henderson helped the team build momentum that put them in first place and in contention for the Ivy League title entering the final week of the season. That opportunity slipped through their fingers when back-to-back losses to Yale and Brown effectively ended their quest for the title. The team finished with a 17-11 record overall, behind perennial rival Harvard (20-10). Being that close to success wasn’t unfamiliar territory for Henderson. Having been a member of Princeton’s Ivy League championship basketball teams from 1996-98, Henderson understands the pressures of high-stakes games. After graduation, he was drafted by the Atlanta Hawks in 1998, a chapter in his career that ultimately ended in disappointment. Henderson never appeared in a regular season game and, after playing briefly overseas, his career reached a premature end. Though he considered going into business or law as his next step, Henderson instead decided to follow in the footsteps of his own Hall of Fame coach, Pete Carril. After 11 years as an assistant coach at Northwestern, Henderson accepted the head coach role at Princeton. “I think this is the right place for me,” he said. Henderson knows that Carril’s shoes are large ones to fill. “If I could be half as good as [Carril] was in influencing my players, then I’d be happy,” he said. He prides himself in creating a family away from home for his players, and said he wants to impart an awareness of the broader community his players have joined. Ultimately, he sees himself as a teacher first to his student-athletes. One of the most rewarding parts of coaching is being able to build strong relationships with his players, relationships that last beyond their years on the team, he said. Having ended his first two seasons just shy of success, Henderson is taking the summer to reflect on “the things we did well and what we could do better.” The graduation of Ivy League Player of the Year Ian Hummer ’13 will be a challenge, but with four starters returning from injury, Henderson has high hopes for the 2013-14 season. 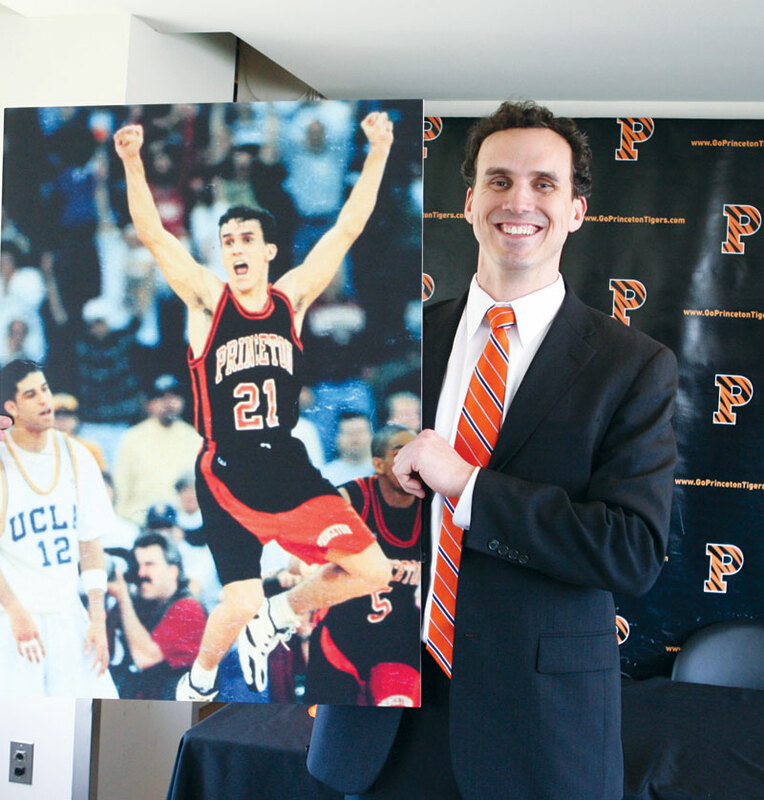 It is just the next chapter in the long legacy he hopes to build at the helm of Princeton’s basketball team.